The 10th Annual Charleston Leadership Prayer Breakfast was held at the Charleston Area Convention Center on Thursday, November 10th. The keynote speaker was H. Wayne Huizenga, Jr., the President of Huizenga Holdings, Inc. Mr. Huizenga's family has founded three Fortune 500 companies, his Chairman of the Board of Rybovich, a super yacht marina and refit facility based in West Palm Beach, Florida. 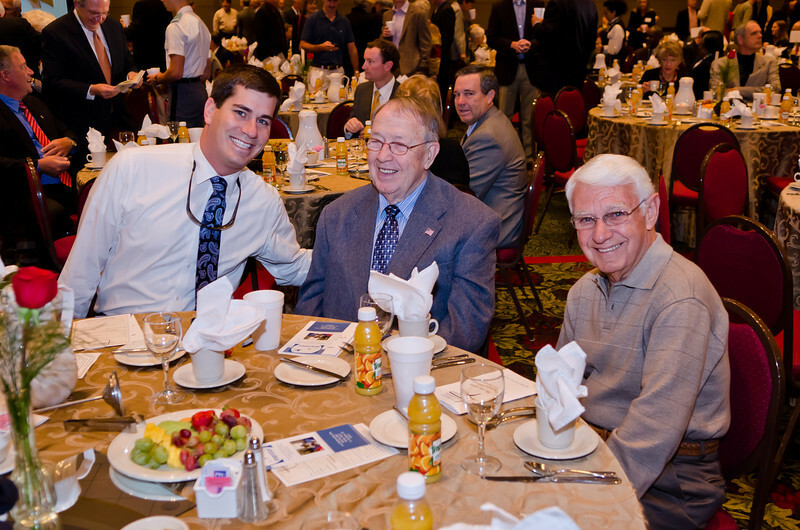 The mission of the Charleston Leadership Foundation (CLF), a non-profit organization based in Charleston, South Carolina is to conduct an annual prayer breakfast to encourage the Christian leaders of the community to come together in a forum designed to introduce people to the Gospel and learn about how Christ can change lives. The charities supported by The Charleston Leadership Foundation are Be A Mentor and Lowcountry Orphan Relief. Jerry Young is the Founder and President of the CLF.